such as SimpleDB, BigTable, Cassandra, CouchDB, and MongoDB. I recommend a few excellent podcasts on Cassandra, CouchDB and MongoDB to get a sense of what this is all about. Although I could have started earlier, Heroku’s recent announcement of support for MongoDB accelerated my plans. So it was time for me to start creating a small prototype with my favorite Ruby micro-framework: Camping. I downloaded the latest version from http://www.mongodb.org/display/DOCS/Downloads. In my case, I chose the 32 bit Windows version for my laptop. After installing it, I had to create the data folder under \data\db. Note that this is important since the folder does not get created automatically. Since we’re just “playing”, we don’t need to worry about compiling the bson extension. At this point Mongo has not yet created the physical database yet though so if you go to the \data\db folder no content has been created yet. but with the important difference that a collection does not have schema and can store arbitrary objects of any shapes. Now let’s add some widgets. We’ll start with a simple Ruby “hash” object. MongoDB returned the object id of the hash we just stored in the widgets collection. Ok now let's add one more widget so we can later do a query over more than one object! Of course you can include multiple attributes in the criteria, limit the number of results, filter the list of attributes returned, etc. 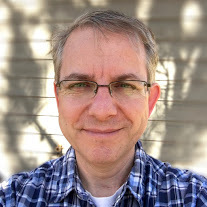 or review the full Ruby Mongo API. we can step up to a prototype web app using the Ruby Camping framework. We will also incorporate the MongoMapper data access layer. Our app will be contained in a module named MongoTest. So first, let's add the statement to tell Camping to start our MongoTest module. the logic to configure MongoMapper in terms of connection and database. Our main MongoTest module will contain a submodule for each facet of our MVC pattern: Models, Controllers, and Views. In the skeleton we had created a Models module. This is where we will add our Widget class. Unlike a traditional Camping or Rails model, we will not have this class inherit from an ActiveRecord descendant class. Instead we will just include the MongoMapper::Document module. This module will turbo charge our model with all the needed Mongo features we need. Now we will define the attributes of our Model: code, description, and price. Note that unlike in Camping and Rails we don't need a migration! The only "gotcha" we need to work-around is that if we don't override the collection name auto-generated for Widget, the table name will include the fully qualified model class name, containing the module hierarchy names! So we'll explicitly force the collection name. :message=>"must be in the following range: 0.05 to 9999.99"
Now that we have a model, we can flesh-out our first controller. received by Camping on the default "index" route i.e. for the / path. By default, Camping uses a Ruby-syntax based templating engine called Markaby. For more details on Markaby, see here. Note: the upcoming 2.1 version of Camping uses Tilt to let you choose your favorite templating engine (e.g. ERB, Haml, ...). So, let's flesh-out our index view method to render a table of widgets. 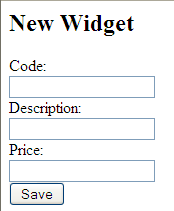 Now let's add the ability to create and save new widgets. and register a new route for /widget/new. to the route - using the R() Camping function - for our new AddWidget controller. Now we can add the handler for the HTTP POST to our AddWidget controller. to add it to the widgets collection. We'll redirect back to the form if the model did not pass validation rules or if the save failed. Then we'll re-query the list of widgets and render the index view to show the new data. Finally let's add the ability to search for a specific widget based on a widget code. and register a new route for /widget/search. Now we can add the handler for the HTTP POST to our SearchWidgetByCode. The results will be rendered using the index view. You can now leverage the power of Camping, Markaby and REPL to add these features on your own. :-). Note: you can mix and match templating engine in Camping 2.1 using Tilt - which allows you to use ERB, Haml, etc. So hopefully this post will have given you a feel for what development with MongoDB/Ruby and Camping feels like. class AddWidget < R "/widget/new"